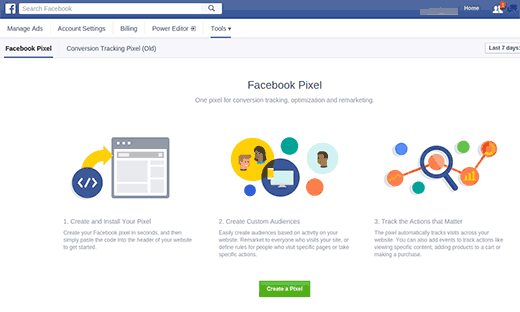 The Facebook Pixel is a snippet of code you place on your store that allows you to track and target visitors to your shop’s website. It allows you to create different audiences based on specific actions of your site’s visitors. Want an audience of all those who initiated the checkout, but didn’t finish? No problem. How about a very targeted audience of those who’ve visited your site multiple times in the last few days? Yup, you’ve got it. I’ll dive more into audiences in Chapters 4 and Chapters 5, but for now, let’s do the essential thing: install it. Important Note: There can only be ONE Pixel per Ad Account! This is new. Click Create a Pixel (if you already have a Pixel, you won’t see the “Create a Pixel” button). Make sure you’ve checked the box to accept the terms. 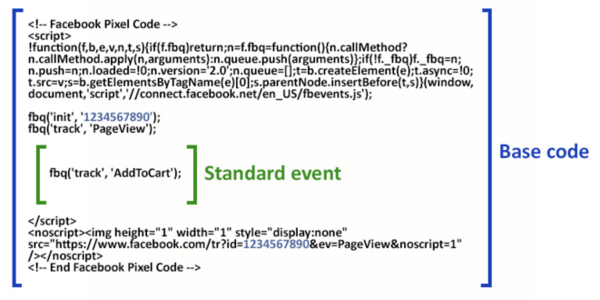 Your Facebook Pixel can track multiple events with slight modifications of its code (more on that in a second). This is where things can get a bit tricky. There’s tiny snippets of code you add to your “base” Pixel code to track specific actions. You’ll want this extra bit of code to determine when people do certain things like initiate their check out, view a few products, or purchase. You’ll want to add the Pixel to all pages you want to track with these slight variations called “Standard Events” where necessary. But before you cringe with the thought of coding, you’re in luck. 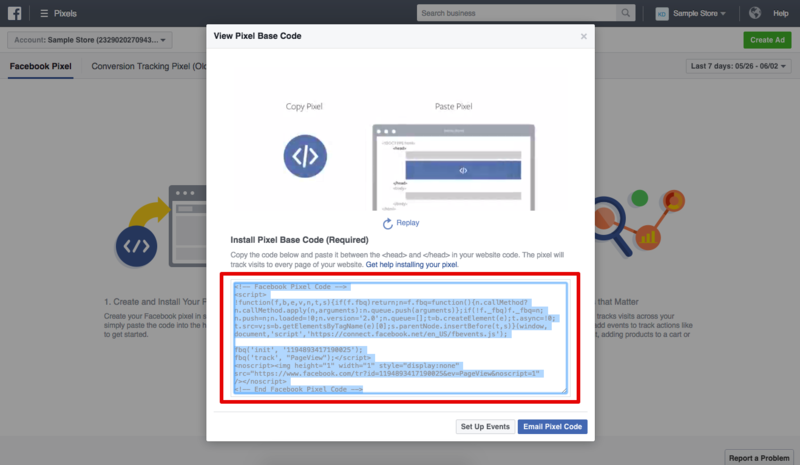 You’ll want the base Pixel code on every page of your site, along with those necessary Standard Events on certain pages. There’s no need to panic though: I’m going to list the integration tools that mean never seeing a line of code with Facebook Ads again. Shopify natively supports the Facebook Pixel along with 6 of its 9 Standard Events: ViewContent, AddToCart, InitiateCheckout, AddPaymentInfo, Purchase, and Search. 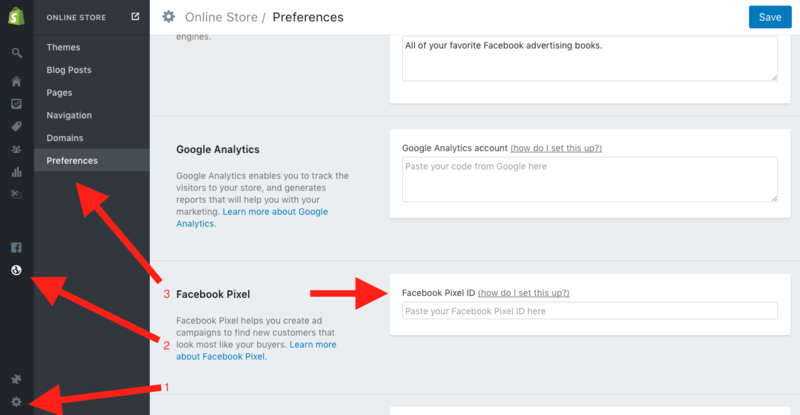 You’ll see Facebook Pixel section, and you can enter your Facebook Pixel ID. For more in-depth instructions, check out the full tutorial here. It really can’t get much easier than that, and it’s a huge reason why Shopify is one of the preferred ecommerce platforms. 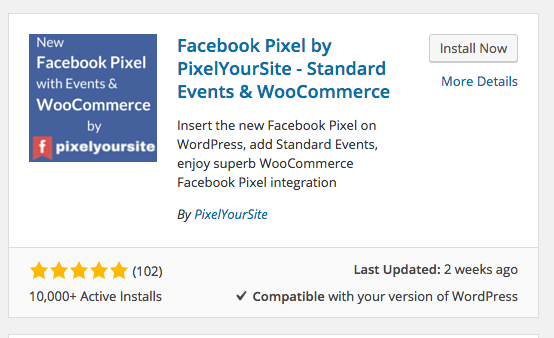 This plugin, PixelYourSite, allows you an easy integration like Shopify. You just install the plug-in, input your Facebook Pixel ID, and follow the commands that the pixel plug-in provides you. It’s a paid plug-in, but don’t fret: AdEspresso is releasing a free pixel plugin very soon that can do what it can with the Facebook Pixel - and a whole lot more! Sign up for our newsletter to get first-in on the launch. You’re best bet here is to hire a developer, as you’ll need place the Pixel code and it’s “Standard Event” variations between the <head> and </head> tag of each page of your website while modifying the “Standard Event” depending on which page it is (Checkout page, Purchase completed page, Home page, etc.). This can be a lot of work for anyone who isn’t familiar with coding. 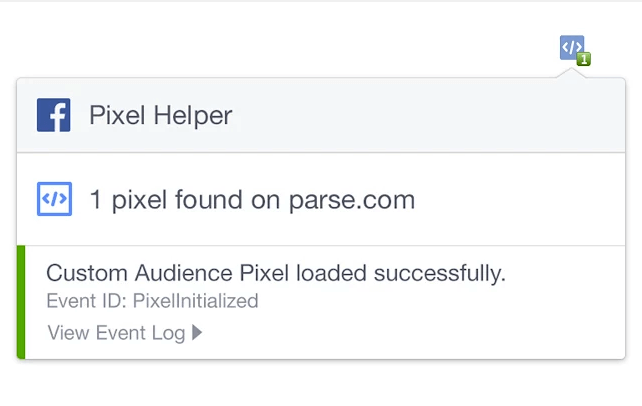 If you want to check to make sure your Facebook Pixel is working, download the free Google Chrome Extension, Pixel Helper. What About the “Facebook” Shopify Shop? If you don’t have a website and are selling only on your Facebook page, you have a few limitations: you can ONLY sell physical products, Shopify payments must be used, and it must be in the same currency as the user (country-specific). 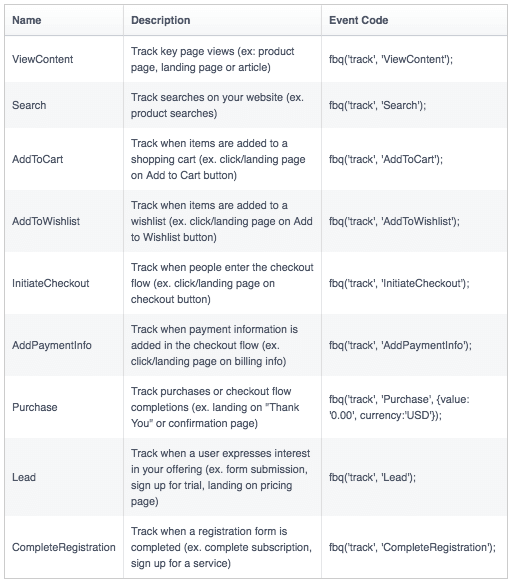 For ways of utilizing the Facebook Shopify Integration, check Chapter 7 on Dynamic Ads. By this point, you’re probably aching to get into some ad types and creativity, so let’s dive into your options. You’re probably excited to see all the visual media and ad types you can use, but hold out on creating them just yet. After reading about the ad types, make sure you read Chapter 5 and Chapter 6 to ensure you have your targeting down.